Web design and graphics, marketing materials, thank you cards, business cards and more. 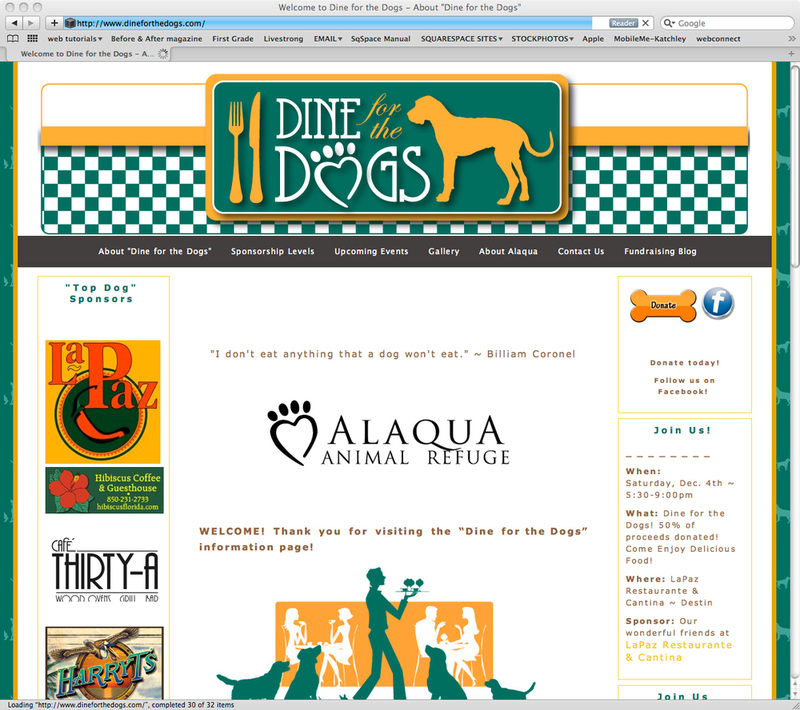 Dine for the Dogs brings food and people together to improve the lives of homeless animals. While they temporarily reside at Alaqua Animal Shelter, many animals in Walton County need good homes. The animal-loving people at Alaqua are working to make sure that no animal goes without a warm, happy home.